The story of Passover (Pesach in Hebrew), is in the book of Exodus, chapters 1-15. Yahweh's people were slaves in Egypt. Pharaoh was the evil king in Egypt. He decided that there were too many Israelites, (also called the Hebrews). Also, Pharaoh was afraid that the Israelites would join together, form an army, and join Egypt's enemies to take over Egypt. This was not the Israelites' plan, but Pharaoh believed it. He forced the Hebrews to work long hours of grueling labor. He also ordered the midwives to kill all the Israelite baby boys. It was horrible and devastating. One courageous Israelite mother, hid her baby boy in a reed basket in the river. Pharaoh's own daughter, the princess, found him while she was bathing at the river and adopted the baby boy. She named him Moses. After a chain of events, Moses fled to the wilderness, where he met his wife and her family, got married, and raised sheep for many years. Later, after Moses had spent many years in the desert, Yahweh called him to go to Pharaoh with a message from Yahweh, saying: "Let My people go!" Pharaoh's heart was so hard, and so stubborn, and he wouldn't listen. So, Yahweh sent plagues. The Nile river was turned to blood, enormous amounts of frogs, gnats, flies, all covered the land. The livestock died, boils and sores covered every single Egyptian, hail, locusts ate all of the Egyptian crops, and darkness covered the land. Still, Pharaoh wouldn't listen. He wouldn't let God's people go. The last plague, was the death of every firstborn male. However, all the Hebrew people, they obeyed God's decree- by putting the blood of a lamb on their doorposts. God was the Hebrews protection. He crossed into their homes through the blood-covered doorposts. The word Pesach means to come under the protection of God. When the angel passed their houses at night, the angel passed over the Hebrews' homes. The Hebrew firstborns were safe. All of the Egyptian firstborns- livestock and people, died. 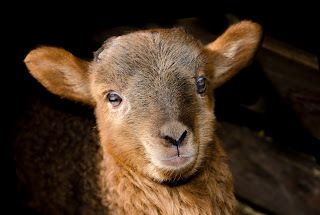 Just as the blood of the lambs on the doorposts allowed God to come into the Hebrews' homes, Yeshua's blood that covers us allows God to come into our hearts. This is also where the name of this Feast, Passover (Pescah) comes from. The angel passed over the Israelite's homes. Pharaoh finally let God's people go; he wanted them gone. The Israelite's didn't have any time for their bread to rise so they could bake it, so they took unleavened bread. (Unleavened means it has no yeast.) The Egyptians gave the Hebrews gold, silver, and fine clothing and told them to get out of their land as fast as possible. The Egyptians were terrified. The Israelites left Egypt, but then Pharaoh changed his mind, and went after them. Pharaoh took his horses, his army, and his chariots, to fight the Israelites. The Israelites were terrified. The Sea of Reeds (also known as the Red Sea) lay before them, and Pharaoh's army was coming behind them- they had nowhere to run. Moses, the leader, said: "Don't be afraid! 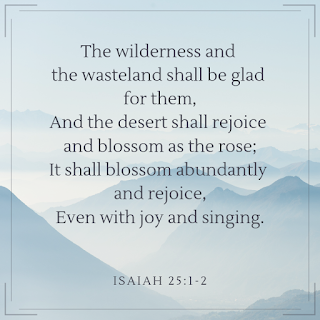 Stand still, and see the salvation of ADONAI, which He will perform for you today. You have seen the Egyptians today, but you will never see them again, ever!" Exodus 14:13. Moses stretched out his hand, and the sea parted, and the Israelites walked through on dry ground! Adonai split the sea! Yaweh made the Egyptian's chariot wheels quit working, so it slowed them down even more. Once all of the thousands of Israelites had passed through, Moses stretched out his hand again, and the waters crashed over the Egyptians. Yahweh's people were saved! He rescued His people! And later, through the Israelites, came a Savior who saved us all- by taking our punishment, our sin, and dying for us all. Then He rose again, and defeated death! God told the Israelites to celebrate Passover yearly. A reminder of their rescue out of Egypt, God told His people to eat unleavened bread every year, to remember. Also on Passover, we search our hearts for any sin. 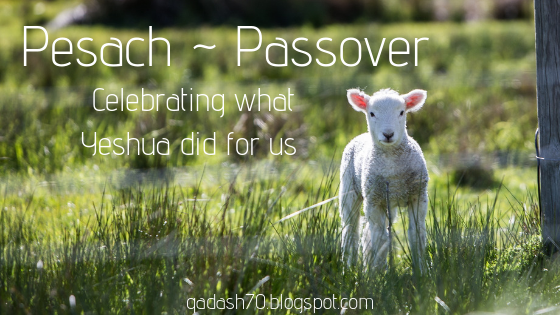 The story of Passover (Pesach) is beautiful and amazing! God's mighty hand was working through it all. Even when the Israelites didn't trust Him, He still loved them. When bad things happened to the Israelites, God turned it into good. He can do that for us, too. I think it is important to celebrate Pesach. Yeshua fulfilled the Feast of Pesach. He died for our sins. Yeshua loved us so much, that He died for us. Yeshua is the Passover Lamb. Inspired by the mysterious events of Matthew 27:52-53: "...and the tombs broke open. The bodies of many holy people who had died were raised to life. They came out of the tombs after Jesus' resurrection and went into the holy city and appeared to many people." Amid first-century Jerusalem's political and religious unrest, Elisheba loses her husband, Joseph. Though she is mourning, Elisheba must fight to protect herself and her young son from the schemes and deceptions of others who wish to control her fortune and her future. While Elisheba defies her enemies, her husband's closest friends must decide what they believe--and risk death. When another tragedy strikes, an impossible miracle shakes their lives--and their world is forever changed...at Dawnlight. This book was so good, and so well written. I loved how the author points out that Jesus was called Rabbi Yeshua. Rabbi means teacher, and Yeshua is the Hebrew name for Jesus. Benjamin, Eran, Stephanos, Andronikos, Kore, Joseph, Elisheba- they were all wonderful characters! There was a wide array of characters; even more than I mentioned above. 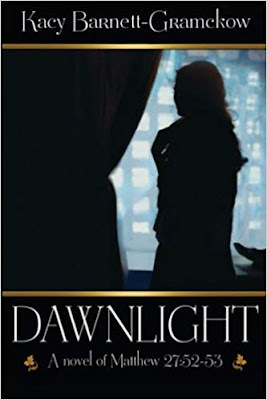 Dawnlight is about Jesus' death and resurrection. There is way more in the book than just His death and resurrection, but those are two of the main things. The way the author portrayed Jesus was absolutely amazing! His passion and love for everyone, came out so well in this book. So many Biblical stories about Jesus' life are in this book. It pointed out what Jesus thought about women and children. In first-century Jerusalem, women and children were not valued very much at all. Jesus valued the women and the children. He loved them and valued them as much as He loved and valued the men. Dawnlight immerses you in the Jewish culture- it helps you see Jesus' life and death in a whole new way. This book is fiction, so don't take everything in it for fact. However, it definitely gives you an idea of what life might have been like in first-century Jerusalem. Favorite quotes: "He grinned at Benjamin from beneath His prayer shawl." and, "...the Rabbi Yeshua, Master Iesous, lives." wondering why I started this post with a photo of bison? 1. What song do you have stuck in your head right now? 2. Who is *one of* your favorite historical characters? 3. Would you rather have the person show up on your doorstep to spend the day OR be transported back in time to spend a day with them? 4. What is your favorite thing to do on long drives? Think. My favorite thing to do on long drives is think. ;) I also enjoy talking and joking around with my siblings, and reading. 5. Breakfast for dinner OR dessert for breakfast? 6. Do you have a Bible passage you like so much that you memorized it by "accident" just by reading it so often? 7. Do you have a pet? If so, how did you choose its name? I don't have any pets, sadly. Due to my allergies, and the fact that multiple of my other family members have allergies, we don't have any pets. I love animals, though! And I spend whatever chances I can get with them! :) I love riding horses; the one I'm riding right now is Little Fal. (I have no idea how he got that name, he's not very little.) ;) He's part Arabian. 8. Do you eat ice? 9. What movie would you have liked to have been an extra in? Indivisible. I would have loved to have been one of the "extra" soldiers in the background. :) It's an amazing movie!!! 10. What's the strangest dream you ever had? I nominate: Hosanna Emily, Brooklyne, Gray Marie, Mallory, and Kaitlyn. 1. Do you like NASCAR? If so, who is your favorite driver? 2. Have you ever been pulled over? If so, why and did you get a ticket and who paid for the ticket? 3. What is your least favorite musical instrument? 4. What is the silliest/most embarrassing thing you did when you were a kid? 5. What do you do when you're stressed? 6. What was the biggest/most expensive thing you bought that you regret buying? 7. How many houses have you lived in? 8. What is the item that you most regret getting rid of? Have you ever wondered what worshipping God really is? What is worship really supposed to mean? What is worship? I think that many people have lost or forgotten the meaning of worship. Not all have lost it, but many have. It's always good to go back and discover it again. So, what is worship? The definition of worship is the feeling or expression of reverence and adoration for God. Reverence means deep respect for someone. We are to have complete adoration and reverence for God. Worship is for God. Worship is about God. It's not about us. It's about praising God for who He is, and talking to Him. It often seems that in many churches, worship has become singing songs about us or who we are in God. Those songs can be really good and can often minister to people. Having a song or two like that is not bad. However, if worship is praising God, then we should be worshipping Him. Although our music can minister to people, our main focus while leading worship should not be to minister to people. If our songs minister to someone, great! But that's not the main focus. Our main focus should be to worship God, and only Him. 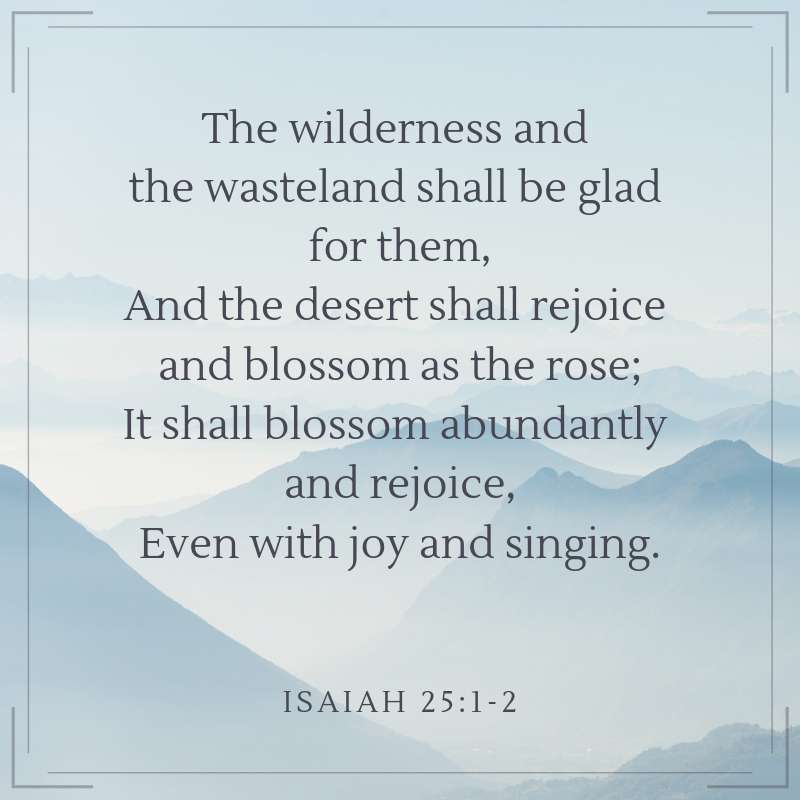 When we sing, lead worship, or play an instrument, that isn't anymore important than other people who are sitting and worshipping God in their heart. Everybody's worship is equally important. One of the most important things is this: where is our heart at when we worship? Is it centered around pleasing people and putting on a show? Or is it solely focused on God? Do we go to church to hear good music, or to hear from God? Worship is not about us. It's about Him. This has been something on my heart lately. I hope it helps us have a deeper understanding of what worship really is. 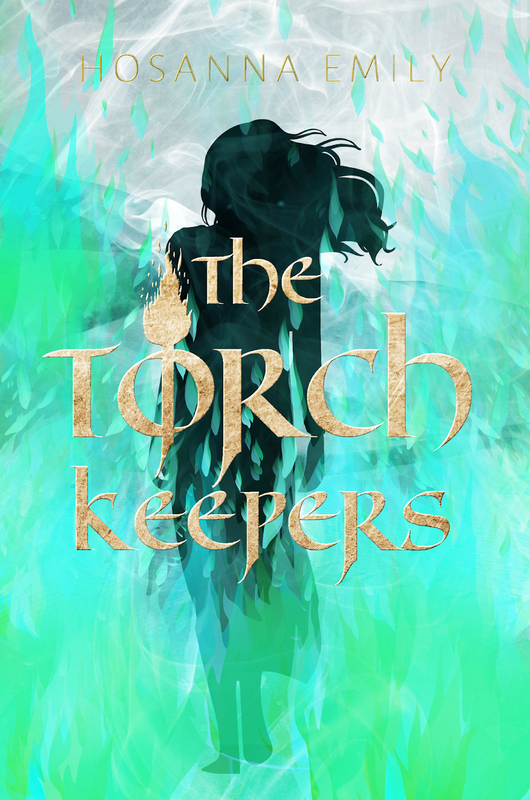 Today, I am helping promote the official cover of Hosanna Emily's book, The Torch Keepers! This book is an allegorical fantasy novel. The release date is September 1, 2019. 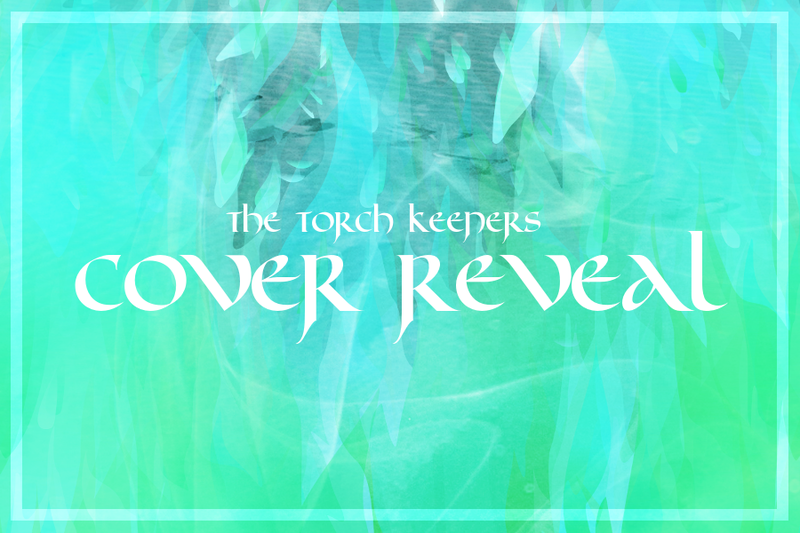 A fiery revolution sweeps across the kingdom of Erkeos, and each person must choose a side. Kadira, a girl set apart to serve the King, finds her city engulfed in emerald flames. Her blue eyes mark her as the enemy, and she flees from death. It stalks her anyway. When she meets Rekem, the Liberation warrior sent to kill her, she rebels against the King's ways. Two armies collide; indecision isn't an option. As hearts and lives hang in the balance, Kadira and Rekem could bring destruction or liberation to the entire kingdom. Hosanna Emily is an ordinary girl following an extraordinary God. She's a seeker of beauty in the midst of life, whether through creating emotion through ink on paper, dancing under the stars, using sign language in songs, or offering a hug. As a writer, Hosanna wants to showcase the glory of God to the world while reaching out to love others. She published a novella at age thirteen and continues to write stories and share her heart on her blog, Having a Heart Like His. She lives on a farm in the middle of nowhere with her family of 12. Enter here to win a signed copy of The Torch Keepers! Hi! My name is Molly. I’m a teenage girl who is on fire for Yeshua. I love animals, music, and books! I play the piano, guitar, violin, ukulele, and I sing. Most often I can be found with my nose in a book. I love Israel and our Hebrew roots of our faith in Yeshua the Messiah. I am friendly, fierce, sometimes funny, and occasionally I have a hard time reining in my temper. 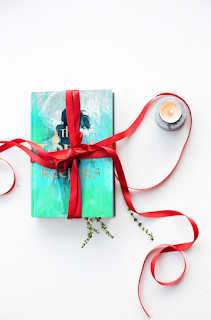 Come join me on my blog journey! Header designed by Brooklyne Elysse. Copyright 2019 by Molly Anne. All rights reserved. Picture Window theme. Theme images by zbindere. Powered by Blogger.